A well-informed populace would not have elected Tony Abbott, but did through the intervention of U.S. media monopolist Rupert Murdoch. Managing editor David Donovan explains how a corrupt media is threatening our fragile democracy. IT GOES WITHOUT SAYING that Tony Abbott is one of the poorest quality candidates to be elected prime minister in Australia's political history. You need to go back to Billy McMahon to find a leader with anywhere near the same sort of lowbrow politics, lazy disposition and fundamentally dishonest nature. Of course, we have covered all these aspects of Abbott's "character" ‒ and other deficiencies ‒ on IA at great length, as have a great many other websites. We don't intend to go back over all that old ground today. The fact is, Abbott and his band of marauders have been elected and we must confront that reality. 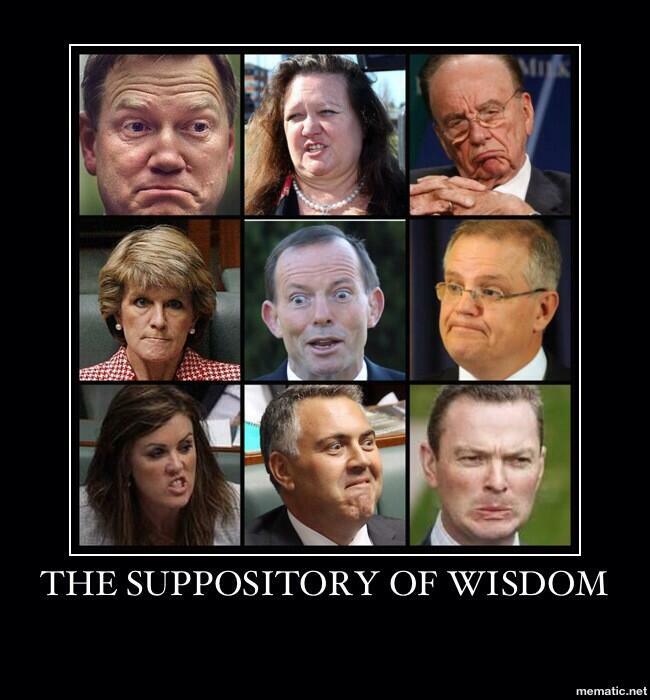 You may have heard it said that the Australian people never make a mistake in electing the people to lead them. It is a cute phrase ‒ entirely spurious, as it happens ‒ but cute nonetheless. Well, let's make this perfectly clear: a well informed populace ‒ not one brainwashed by ceaseless and increasingly hysterical Murdoch spin, and then brainscrubbed by commercial TV and radio toadies ‒ would have re-elected the previous Government. Forget leadership or the wholly confected "scandals" involving Craig Thomson and Peter Slipper, the simple act of maintaining Australia's prosperity through the turbulent global times that bankrupted the rest of the western world should have been easily enough to get Labor home. Yet, through diabolically dishonest and baseless scare campaigns on such non-issues as Australia's government debt (actually very low by global standards) and threats to our "sovereign borders" from the tiny number of pitiable people who arrive here seeking asylum on boats, the Abbott-led Coalition and its Murdoch media masters have gotten the result they've sought. Some may claim that people are not that gullible, that Murdoch was just exercising the freedom of the press, and that people will make their own minds up and will reject attempts to propagandise them into supporting one or other side of politics. This is a laughably naive contention when one considers the concentration of media in Australia in Murdoch's hands. His corrupt and criminal organisation controls close to 70 per cent of the metropolitan newspapers readership nationwide — and has press monopolies in the one-newspaper capital cities of Brisbane, Adelaide and Hobart. But it is more than just that, because these newspapers also set the radio and television agenda every day and therefore frame the political debate. This is how non-stories about BER waste, pink batts and AWU corruption have become central to the anti-Government narrative over the last few years. Even the ABC has shown itself to be entirely swept up in the Murdoch media's mendacious pro-Abbott campaigning. To totally discredit this proposition, how much would the Coalition have been obliged to pay for the Murdoch media's one-sided campaigning — even just for the mocking front page spreads in the Daily Telegraph and Courier-Mail. If it was more than $0, which it obviously was, then it was an electoral boon for Abbott. There is no doubt whatsoever that Murdoch gifted the Coalition several per cent of the vote on Saturday and, when you consider the weekend's result was far away from being a landslide, there is little doubt Murdoch, in effect, gifted Abbott the prime ministership. 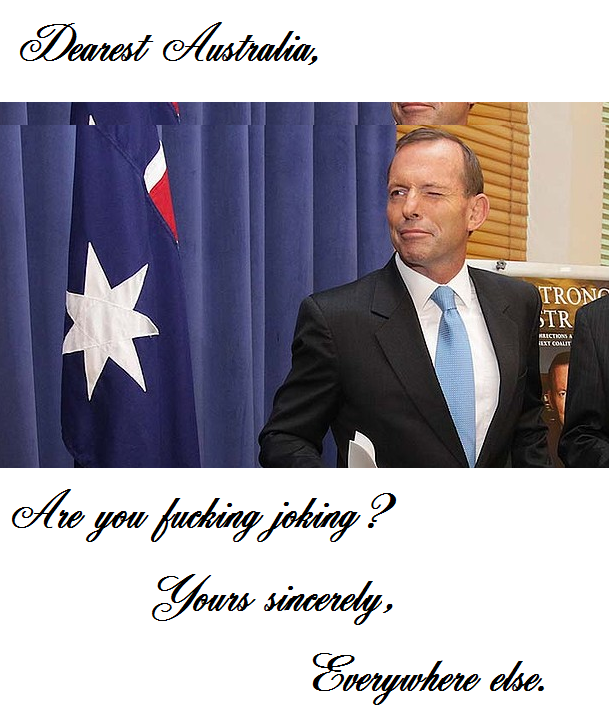 And now we must wonder what Abbott will gift to Murdoch in return. Maybe the NBN? Maybe much, much, more. All this should fill us all with grave misgivings about the strength of our democracy. As British filmmaker Lord David Puttnam said in a recent TedX address at Westminster, the media have a duty of care to the people to protect their fragile democracy. They have a duty to inform and not inflame, says Puttnam. Sadly, lowbrow media of the sort Rupert Murdoch imposes worldwide has been shown in studies to make people more cynical, less engaged and less likely to participate in the democratic process. And if the media has a duty of care to the people in a democracy, as Puttnam suggests it does, then do the Australian public have cause for a tortious class action on the basis of Murdoch's unrelenting attacks upon democracy? It is surely an intriguing thought. It is hard to escape the conclusion that Murdoch's goal is to create a dumbed-down populace — one more easy to herd towards accepting his own radical neo-conservative ideological preoccupations with limited government, corporate power and Randian laissez-faire capitalism. None of these widely discredited economic theories are in the interests of the vast majority of the population, but are designed to favour the wealthy. 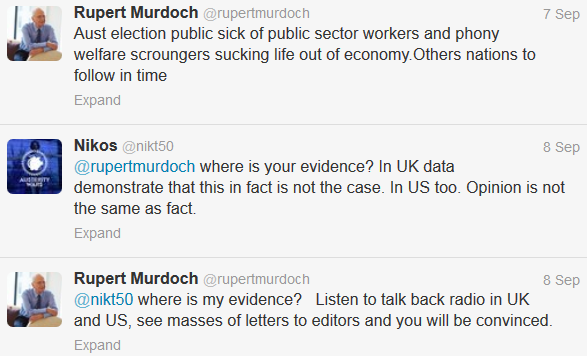 However, with the rise of social media and the fifth estate, Murdoch will have a battle on his hands. He may have won the election on Saturday, but unless he finds a way to limit the power of the new media, the next election will not be so easily won. Tomorrow: David Donovan talks about what an Abbott Government has in store for Australia.